The candidates can apply for the entrance test only through the online mode by following the link given in the Application Form section. The last date to fill the application form is 23 April 2018. Latest Update: TANCET Result 2018 has been announced on 8 June 2018. TANCET Application - Registration Started! MBA: The candidates must hold a Bachelor’s degree of minimum 3 years duration in any subject from a recognised institute in India with minimum 50% of marks (45 % in the case of candidates belonging to reserved category). MCA: The candidates must be passed with minimum 3 year’s graduation degree in any subject from a recognised institute in India with minimum 50% of marks (45 % in the case of candidates belonging to reserved category). Mathematics must be one of the main subjects in graduation or at 10+2 level. MCA Lateral Entry: For MCA lateral entry, the candidates should have a Bachelor’s degree of minimum 3 years duration in B.Sc. (Computer Science / Information Technology), BCA with minimum 50% of marks (45% in the case of candidates belonging to reserved category) and Mathematics should be one of the subjects in graduation or at 10+2 level. ME/M. Tech/ M. Arch. /M. Plan. : the candidates holding a Bachelor’s degree or equivalent in BE/B. Tech./B. Arch/B. Pharm. are eligible to apply. The candidate who have Master’s Degree in the relevant branch of Science / Arts, which are prescribed, are also eligible to apply. The candidates who are currently going to appear in the final year examination of their qualifying degree are also eligible to apply for TANCET 2018. Candidates admitted through Lateral Entry in degree courses are not eligible except, B.E./ B.Tech. and MCA degree courses. Candidates with B.E./ B.Tech. degrees obtained through Distance/ Weekend mode are not eligible. The candidates who have a valid GATE 2016, GATE 2017 and GATE 2018 score with qualifying marks for assistantship in the appropriate discipline of Engineering / Technology. Candidates who have a valid GATE 2016, GATE 2017 and GATE 2018 score with qualifying marks for assistantship in Engineering Science and Life Science papers also have to appear for TANCET 2018. The candidates belong to another state can also appear in the TANCET entrance examination, but the candidates have to follow the eligibility conditions stipulated by the admitting authority. 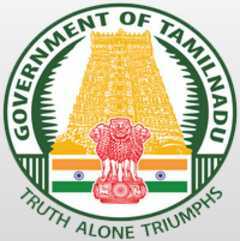 The candidates seeking forward to get admission in the mentioned courses in Anna University are required to fill the TANCET Application form. The candidates are suggested to follow the link below to fill the form. The last date to fill the TANCET Application Form is 23 April 2018. In order to assist the students in filling up the form, the candidates are provided with the instructions below. After filling up the application form, the candidates are suggested to submit the same in order to complete the application process. The system after the successful payment of the application fee will generate a completed form with an application number. The candidates are suggested to note down this application number for future correspondence. TANCET 2018 Admit Card will be available for the candidates before the exam. Once the admit card will be available, the candidates will be able to download the same by following the link given on this page below. After uploading the TANCET hall ticket, the candidates can download their hall ticket by logging into their TANCET account. Admit card uploading date will be announced later. The candidates will have to produce their Hall ticket at the time of TANCET entrance examination and also at the time of admission. The candidates will be selected for the admission in the course they have applied for; on the basis of TANCET 2018 Examination Score. The candidates will be able to download their TANCET Scorecard within 10 days from the date of publication of TANCET Result 2018 of the entrance test. After selection for admission, the candidates have to produce their TANCET exam hall ticket and marks scored by them at the time of admission. If the candidates lost his/her hall ticket or TANCET exam mark sheet, a duplicate hall ticket/ mark sheet can be obtained on payment of Rs 100. There are total 3 sections in the examination. Part 1 and 2 are compulsory and Part 3 section has been chosen at the time of registration. if the candidate appears for a different section, Part 3 will not be evaluated. Part 2 Marking Scheme: All the correct answers up to 20 will be awarded marks and all the wrong answers shall be taken into consideration for awarding negative marks. The candidates can get TANCET Question Paper of previous years from the Centre for Entrance Examinations and Admissions, Anna University, Chennai 600 025 on payment of Rs. 25/- each (by Demand Draft or Cash), in person. There are total 15 test centres in which the TANCET entrance exam is scheduled to be conducted. The candidates can check out the list of test centres given in the table below. TANCET 2018 Application Form - Registration Started! TANCET 2018 Hall Ticket (Admit Card) Released!